Half a Mind 2: A home of your own: dream or delusion? The appeal of owning a home seems deeply embedded in the psyche of Australians. Yet psychologically, it is not clear the home ownership dream is entirely rational. 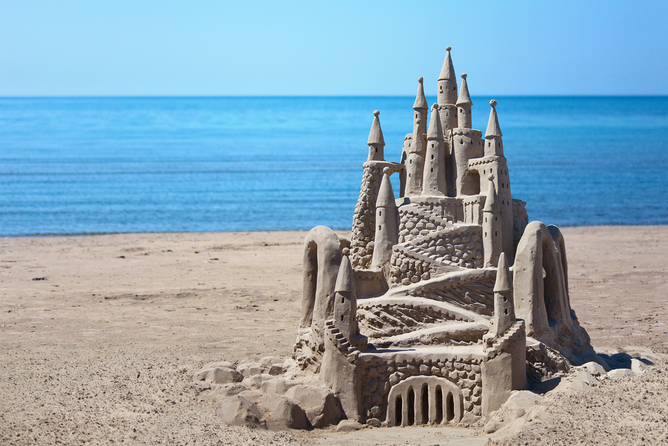 Achieving the dream may not be all we might have hoped, and chasing it may even do damage. According to data on social trends from the ABS, the dream is not merely a distant aspiration, but one achieved by a majority of the Australian population. 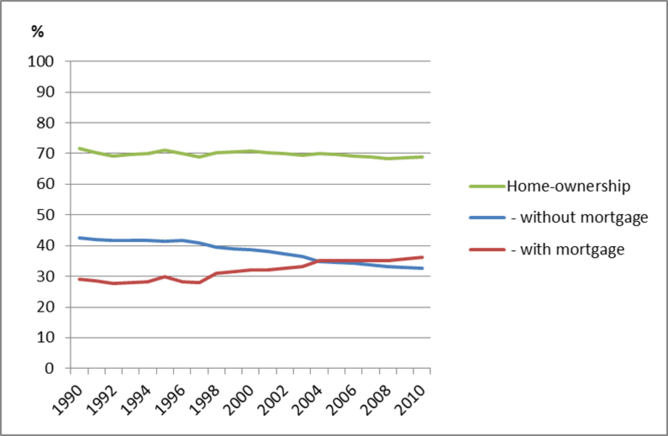 More than two out of every three Australians are living in their own home, a figure that has been maintained across a number of decades (see below). However, the data also show that the proportion who own with a mortgage is increasing (and the proportion without is decreasing). So the dream continues to be made a reality even if home buyers need to borrow more money to achieve it. What harm can there be in having dreams? Well, there is a sizeable minority who perhaps do not achieve their dreams. And dreams that keep us awake at night are not good. Joe Hockey’s recent remarks suggesting would-be home owners “get a good job” were labelled as insensitive and drew a great deal of ire. The public reaction reinforced the fact that we have a strong attachment to the dream of owning our own home. But why this attachment? While we need a place to live, and housing is for many a form of retirement saving, the desire to own our own home goes beyond these needs. It’s a global desire, judging by the substantial home-ownership rates around the world - from 98.7% in Romania to 44.0% in Switzerland. Across cultures and across age groups, one of the motivations for possession of anything is to have the ability to control that possession. In the case of a house, this might be to nail up pictures, paint walls and remodel the place. But this desire to own, the wish to possess, comes at a cost. First, there is considerable research suggesting we tend to overweight the value of owning stuff as opposed to simply having access to use. Called the endowment effect, it describes the way in which we tend to place a higher value on an item that is owned than on an identical item which is not owned. Surprisingly, and perhaps of greater concern, is that ownership of a home does not appear to necessarily make people happier. One researcher found that women who owned their own home were no happier than those who rented. More generally, the rent vs buy debate seems to focus the issue on elements that turn out to be less relevant to our longer-term happiness. We make choices based on big differences (such as rent or buy) when the two dwellings are in most other respects, very much the same. In this case, we are falling for the focusing illusion whereby we exaggerate the joys of home ownership. Psychologist Daniel Kahneman explains this concept with regard to the myth of California happiness. And once we get to be a home owner, the pleasure we so anticipated can quickly disappear through the phenomenon of hedonic adaptation. We imagine that owning our own home will make us very happy, and while this may be true in the short run, our happiness levels return quickly to whatever they were before the event. Hedonic adaptation diminishes both acute negative and positive experiences. And this may explain why home ownership rates and desires bounced back quickly in the US despite the punishing lessons delivered during the global financial crisis of 2008 when many held mortgages of greater value than their home. We might be inclined to argue that home ownership is a good investment, that “rent money is money down the toilet”, but we may be engaging in a confirmation bias. That is, interest and council rates are a similar “waste”, but we discount this argument because we already believe home ownership is good. In any case, the walls and roof within which we live do not make the home. While we may justify our dreams with reasons, the truth of the home ownership dream is probably closer to the heart than the head. Stephen S Holden is Associate professor at Bond University.